House Centipedes are very common in indoor locations that are wet or damp, they are no stranger to bathtubs, drain holes, crawlspaces, porches (drawn in by porch lights), cellars and also attics during the warmer months. They’re typically active at night & eggs are laid in damp places. Larger centipede can bite and show a slight swelling on the skin. A physician should be consulted if the bite has penetrated the skin. The centipede is beneficial, eating other insects. 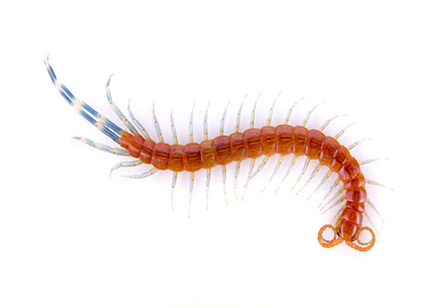 Centipedes do not damage food supplies or household furnishings.